Anyone who need to improve their email writing skills. A great part of communication in today's workplace is done through emails. However, much time is wasted or meaning is misinterpreted when the messages are not clearly written. This one-day workshop will help participants enhance organisational efficiency by writing clear, concise and courteous emails in a professional manner. It covers strategies to convey meaning effectively, build rapport with readers and improve the readability of email messages. 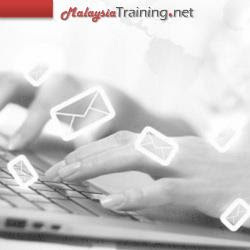 This one-day workshop will help participants improve organisational efficiency by writing clear, concise and courteous emails in a professional manner. It covers strategies to convey meaning clearly, build rapport with readers and improve the readability of email messages. It adopts an interactive approach with writing tasks for the participants and trainer feedback.